We know so little about Christopher Nolan’s Interstellar, and that’s by design. The director has little interest for the open-door policy of the Internet’s movie reporting, and he does a bang-up job of protecting his movie’s secrets (to the benefit of said films). So while we know that Interstellar involves Matthew McConaughey and space travel, specific details are vague. A new game, however, is about to unlock some secrets, and it’s one you can start playing right now. 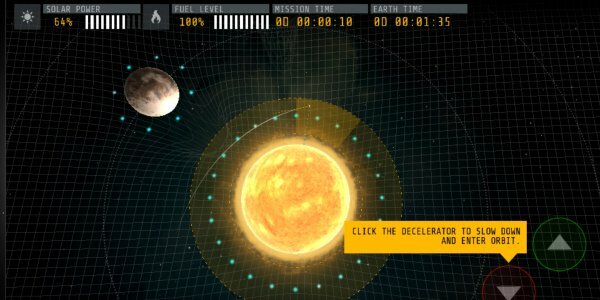 Located at http://game.interstellarmovie.com, this interactive app takes players on a journey through solar systems that will be designed by fellow players, featuring realistic physics conceptualized by Kip Thorne, the film’s scientific advisor and noted theoretical physicist. 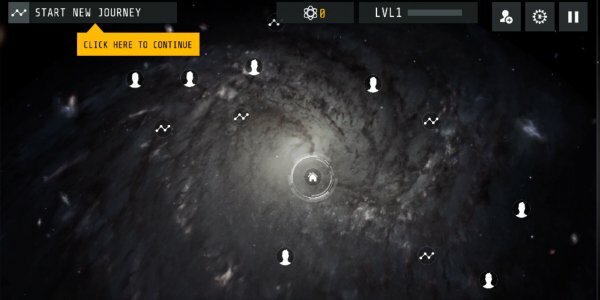 Players are able to create their own unique solar system by adding planets, moons, asteroids and more to a provided celestial grid. From there, players are able to travel through other player-created systems in the Endurance, the ship from Christopher Nolan’s Interstellar. The best part? You can use wormholes to jump to new systems, and can even gamble your life by traveling past a black hole. The game is a fun diversion that gives fans a sneak peek into Christopher Nolan’s sandbox What I find most interesting about it is that Nolan usually doesn’t go for tricks like this. Much like J.J. Abrams (who is working on a different brand of sci-fi), Nolan likes to keep what he can close to the vest. Perhaps this means that Interstellar has so much for us to chew on, it’s better if we start familiarizing ourselves with its expansive galaxies before the Nov. 7 release date? If so I appreciate this interactive homework. Read on to learn more about the app, and to get a glimpse at more footage from Christopher Nolan’s Interstellar. 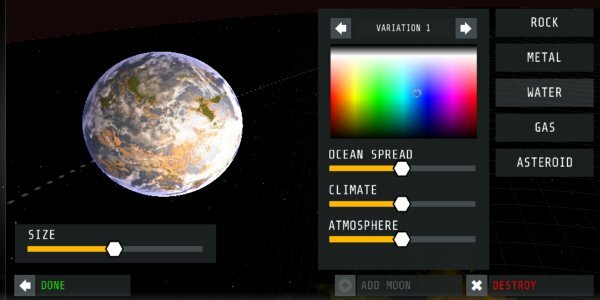 - Gravity: The player can use gravity to slingshot around a solar system's sun and planets to reduce the amount of fuel needed to travel through the system. - Fuel: The player's primary goal is to see how far they can explore before running out of fuel. When the player restarts after a crash or running out of fuel, their distance counter and fuel level are reset.